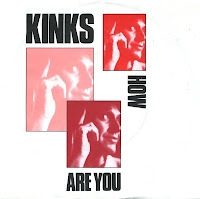 'How are you' was released as the first single from the Kinks' 1986 album 'Think visual'. The title track from that album was an attack on the very MTV video culture the band seemed to be enjoying so much during the earlier part of the decade. The song 'How are you' was a more innocent song. The single did not chart in any territory. I noticed the song during a showing of the music video on Dutch television. It stuck in my head, so I bought it a few years later. 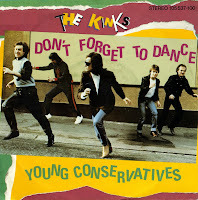 'Don't forget to dance' is a beautiful ballad from the Kinks' 1983 album 'State of confusion'. The single followed 'Come dancing', which was one of the band's most successful singles in the United States. By comparison, this single did not do well. In the UK, this single reached number 58, while in the Netherlands it did not chart. It was the first Kinks single I ever bought. The band has of course been active since the early Sixties, but most of their material just doesn't interest me much.